Indee is a belgian clothing label for girls between 6 and 16 years old based on free spirit skate and surfstyle, mixed with 80’s pop and 70’s disco glamour! Playfull, edgy, feminine and free! Fun is back ladies! It's about guiding young girls towards independence, audacity and freedom, about allowing them to express themselves freely. Cool Indee skirt with elastic waistband. Hip highwaist shorts from the Belgian label Indee. Cool highwaist shorts from the Belgian label Indee. 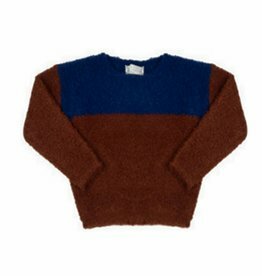 Beautiful Indee knit with colorblock. LAST SIZE : 10Y! Very cool blazer by Indee. LAST SIZE : 10Y! Blue socks with pink inscription. LAST SIZE : 38-40! Cool, dark green shiny T-shirt. LAST SIZE : 8Y!